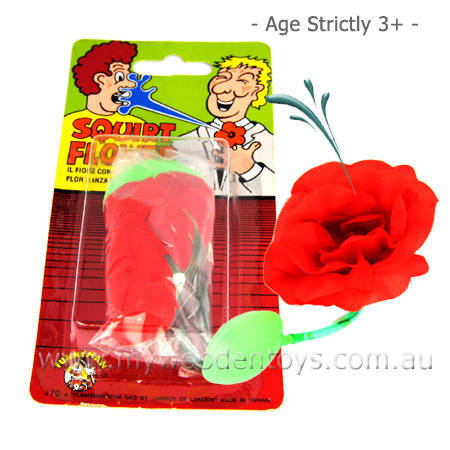 Joke Squirting Lapel Flower is a classic practical joke. You fill the little plastic bulb with water and attach the flower with the safety pin. When someone looks at the lovely flower on your lapel you squeeze the bulb and squirt them. This is a joke toy which has been seen in many old films. A classic. We like this because: "A flower that squirts... fantastic. "